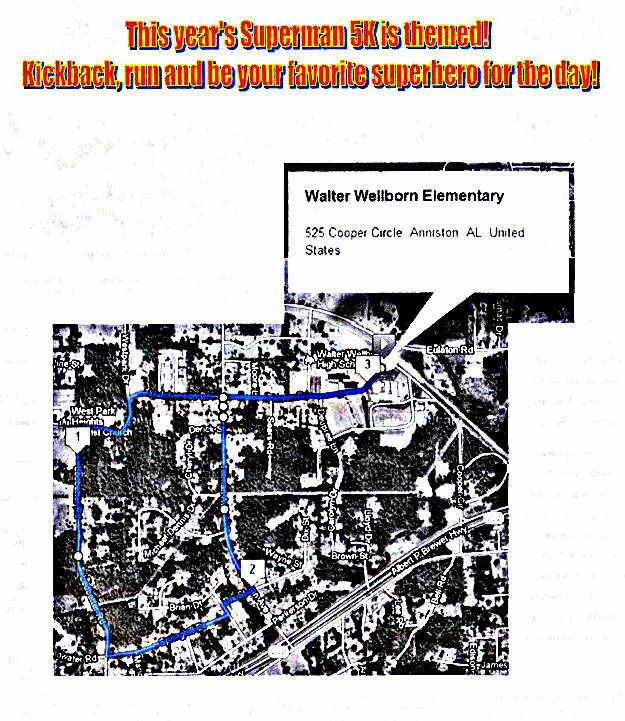 If you would like to join us for our annual Superman 5K in honor of Kevin Thompson please print the form on the left. There is also a map of the route you are welcome to print. If you have any questions you are welcome to call the school (256)741-7500.